For 18-35 year olds only. 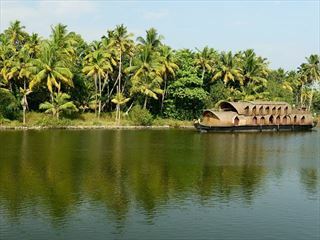 This 15-day multi-share accommodation tour takes you to the heart of India with the opportunity to see some of sites that the country is most famous for. 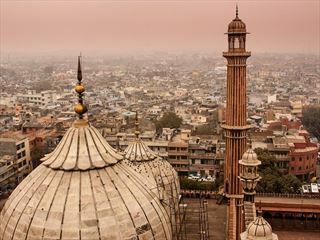 This fun-packed group experience is perfect whether you’re looking for cultural intrigue, world famous sites or just the chance to explore true India. Arrive in Delhi at any time and check in to your hotel. There are no activities planned for the day aside from the chance to meet fellow group members on your tour. If you arrive early in the day (or even a couple of days early), it’s an amazing city to tour at your leisure. In the early morning of the second day you’ll travel by train to the Muslim city of Agra. 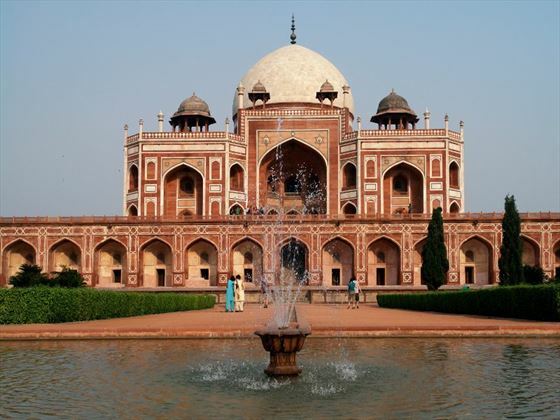 Here you’ll take an amazing guided tour of the world famous Taj Mahal. 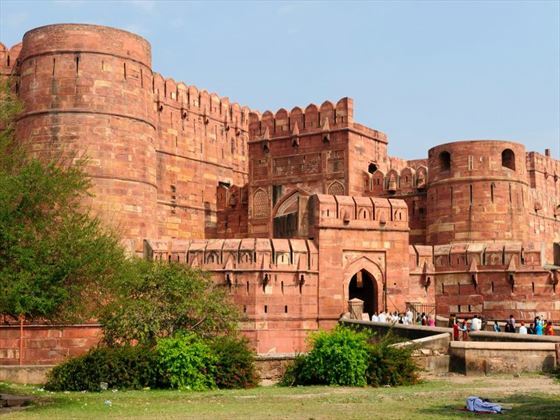 You can also opt to visit Agra Fort and Baby Taj some of the most spectacular sights to see. Head on to Jaipur where you’ll enjoy an orientation walk to get used to your surroundings. 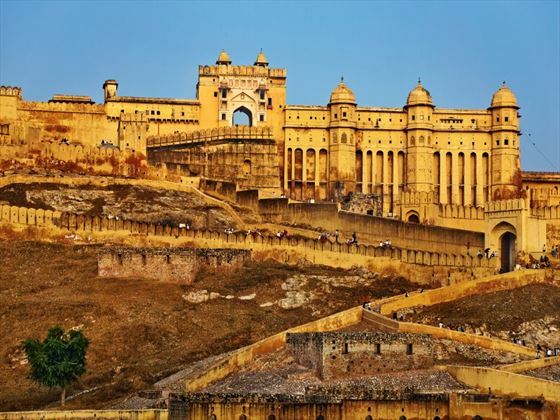 While you’re here enjoy a guided tour of the Amber Fort then have some free time to explore other sites around the town. You’ll have the opportunity to take a balloon ride over some spectacular views of the palaces and lively villages or if you prefer, to watch a Bollywood film at the cinema. Continue your journey on to Tordi Sagar where you’ll get a real taste of local life in India by visiting potters, cobblers and local markets. You can choose to take a camel cart ride to the pretty sand dunes for an unforgettable sunset. Alternatively, you can go hiking in the hills or make bangles and try henna painting with locals. Before leaving Tordi Sagar you’ll get the chance to enjoy a delicious lunch prepared by traditional methods at a local village. 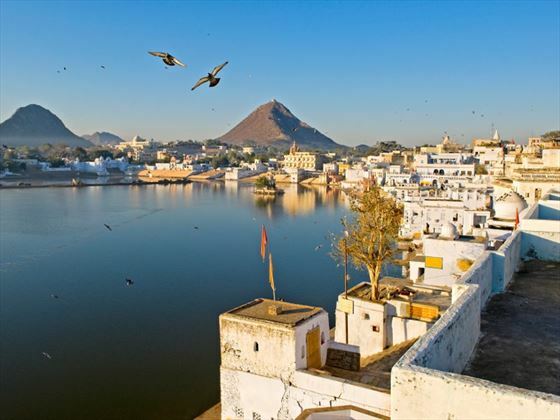 Then you will continue on to Pushkar where in the city you’ll go on an orientation walk and also climb Savitri Temple to see the stunning sunrise and have time to practice some yoga or take a massage to relax. Spend the final evening in Pushkar at a traditional meal in the desert with some spectacular gypsy dancers and music. 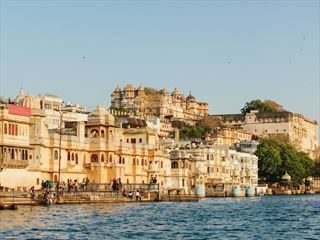 On the eighth day you’ll continue your journey to Udaipur – one of the most impressive cities in the whole of India. 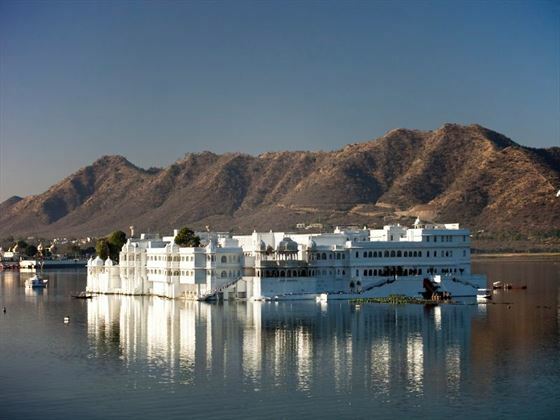 Here you’ll go on an orientation walk and then get the chance to do a variety of activities including boat rides on Lake Pichola, wander round a local market or visit to temples and palaces nearby. If you feel like something a bit more cultural there’s an option to go to a Rajasthani Cultural Show with traditional dancing and music in the evening. 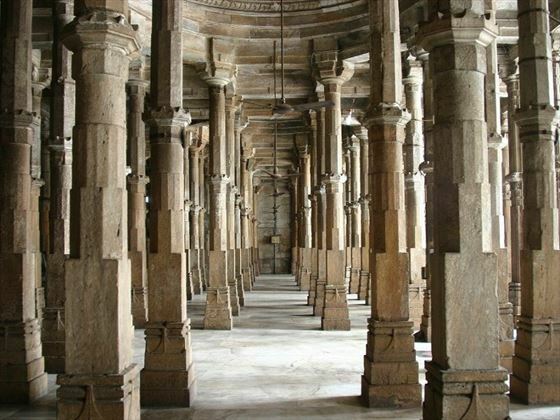 Today you’ll visit Mahatma Gandhi’s ashram in Ahmedabad before continuing onward by overnight train to explore the city of Mumbai, known as the ‘Gateway of India’. 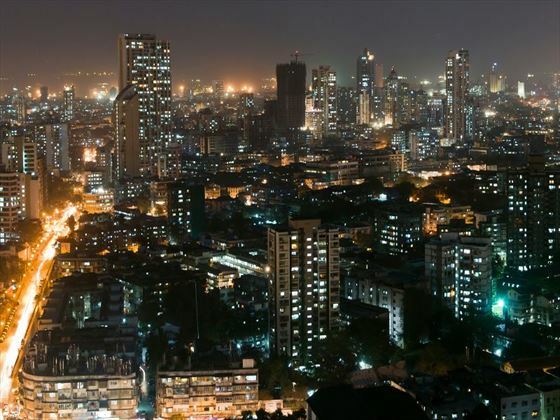 Here you’ll go on a walk of the city and have the option to take a tour and gain an insight into the real lives of the people in the Dharavi slum. 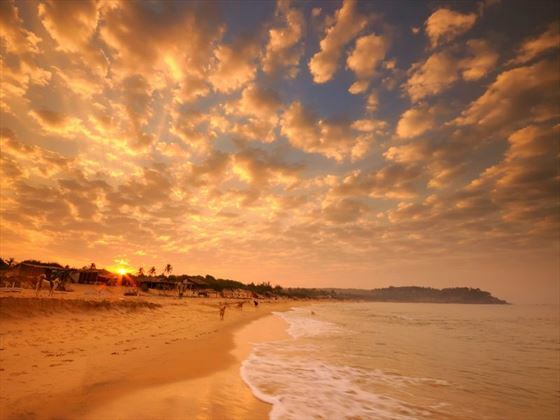 Here’s your chance to see somewhere very different as you’ll fly to the coastal city of Goa. There are loads of things to do including relaxing on the beach, visit the local monuments or wandering around the churches of Old Goa a UNESCO world heritage site. Not ready to go home? Extend your travel we can help to tailor it to meet your requirements. 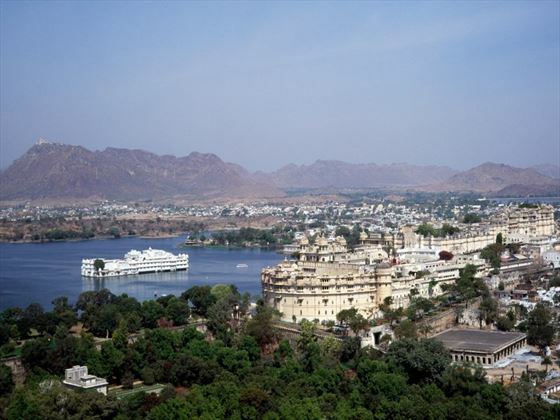 Entrance and guided tour of the Taj Mahal and the Amber Fort, orientation walks in Jaipur, Pushkar, Udaipur and Mumbai. Visit to Gandhi Ashram, rural Tordi Sagar tour with a local guide and sunrise at Savitri temple (Pushkar).